PBL is about meaningful learning, and sometimes that means keeping my antennae up to identify possible ways to bring that authenticity to my students. Sometimes, however, an opportunity falls into my lap. Such is the case with this book review of Melissa and Eva Shang’s Mia Lee is Wheeling Through Middle School. A couple of weeks ago, I was approached by Melissa Shang, a student-author with great grit and chutzpah, to write a possible review of her book. She co-authored Mia Lee Is Wheeling Through Middle School with her sister, and it chronicles her difficult transition from elementary to middle school as a disabled student. Melissa’s book was featured in the New York Times, and in the piece we learn that the young writer is also an advocate for the rights of disabled students. Most notably, she’s been petitioning The American Girl organization to produce its first wheelchair-bound doll. I was honored to read the book, but wondered if perhaps her real audience, middle school students, should really be the ones to chime in here. It was then that Melissa and I agreed on a plan: my students would read and review her book, and I would curate their opinions so that both she and other tween students might see the impact her book has on its intended audience. 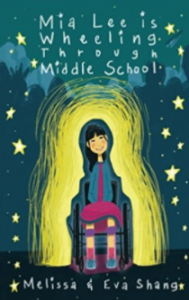 Jaylynn: Mia Lee is Wheeling Through Middle School by Melissa and Eva Shang is a suspenseful, dramatic, detailed narrative about real life challenges and conflicts that most middle schoolers face, whether they are disabled or not. The more I read, the clearer the theme of the book became: change is never easy, but one must never give up, and continue to overcome challenges that arise from the change….I really enjoyed the mystery and suspense, as well as all the twists throughout the whole book…I would most definitely recommend this book to others because of the plot’s relevance to real life situations that middle schoolers face fitting in with their fellow students, and being understood by parents, and receiving the proper support at school. Emma: Mia Lee is Wheeling Through Middle School, a novel by sisters Melissa and Eva Shang, is a wonderfully innocent story about how friends are vital to surviving middle school…I really enjoyed reading about Mia’s brain files, and experiencing the conversations between Mia and her friends. The diverse cast of characters was also relieving to see, because not many books include that these days…It taught me about how not everyone is always what they seem, no matter how well they treat you. Like Mia asked her sister, “How can you tell if someone is a fake?” In middle school, you never know. Halina: Overall I think that the book has an important message that pulled through the entire story. Being disabled is not a burden and just because somebody can’t do all the things an average person can doesn’t make them less of a person. I think the lack of knowledge about the real life of a disabled person shapes people’s perception of people with disabilities. I believe that it’s important that people understand the realistic life of a disabled person and not be so narrow-minded and thinking that their life is so drastically different from ours. The simple truth is that we’re all human, disabled or not…We all go through the same thing.…kids with disabilities don’t need your pity… If I were to put myself in their shoes I’d probably say, “Just becuz I can’t walk or write well or whatever, I can still do just as many great things as you can. I can run for president, I can get into clubs, I can stand up to bullies. 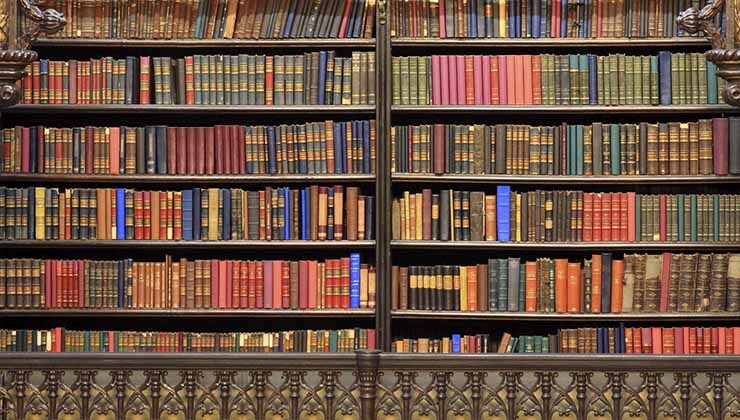 I can do anything I set my mind to.”…I really like how you can relate to the book… At some point in the book you’d go “I know how that feels” or “That’s happened to me be too! Ivan: Before I read this book I generally thought City of Bones and Divergent were my kind of books. I thought that that genre would be the only one in the world that interested me… I was terribly wrong. I had always thought that stories about kids in high school, and middle school were silly and boring. But after I read Mia Lee is Wheeling Through Middle school I had a change of heart….Overall I sincerely like the way the story was written, and now probably the biggest fan of Brain files! They were a great way to advance the story and definitely one of the most excellent part of the developing of Mia’s character, as they reveal her inner thoughts. If a sequel is planned they should include lot of more entries in her brain files and add a new category to keep it interesting. Trisha: The theme of this book was that just because someone is disabled, it does not mean they cannot do the same things as average people, and I really liked that. I feel that it opened the eyes of people who thought disabled people couldn’t do anything. To add on, I like how there was a plot twist in the end. Another thing enjoyed about the story was that it also showed an experience through friendship; the drama between the main character and her best friend. Elizabeth: I remember starting 6th with curious eyes, and I must admit, it was tough transitioning to a brand new school, brand new kids, new environment, it was, scary. I cannot even start to imagine how hard it must have been for kids like Mia Lee, dealing with the stares and glares she received rom the students at her school as she rolled through the halls…I really enjoyed how the sister duo included everything that a child entering middle school was expecting – mean girls, kids with judging etc…, friendly students, and the power of friendship. It made me think about the times I was going through as a new sixth grader, wondering if I would make new friends and lose my old ones, if anyone judged me based on my appearance, or if I would even make it through the first month of school. Luckily I met amazing friends, just as Mia had. Halina: For a book that was about breaking a stereotype, I felt like some aspects of the book were fairly stereotypical….Although the main character was written and developed well, I thought the other characters were flat and stereotypical…it would’ve nice to see some character development with Angela and I wished we could’ve gotten to know her better like why she’s so mean instead of this one sided-straight up mean character. Jaylynn: What I did not appreciate about the book was that teachers and administration seemed to be oblivious about all the conflicts in the school, and when the students reached out to them, there weren’t any serious consequences for the bullying that took place. Elizabeth: Her choice to write almost a children’s book with an in depth message, was impressive – as an eleven-year old author at the time, her style of writing was advanced, different than how a normal kid like myself would have written a story. Mia Lee is Wheeling Through Middle School is a book about the challenges of being your own person during a time when uniqueness is a hard trait to hold onto. Nevertheless, Melissa and Eva Shang have clearly depicted a relatable character that can teach all middle school students that we all have something to contribute to our school and our lives. Many thanks to Melissa Shang for reaching out and allowing my students to share in this journey with you as an author and advocate. We are cheering you on! Cialis uk - Cialis online http://cialisvipsale.com/ Fine postings. Thanks a lot. Canadian viagra - Tadalafil http://viagravipsale.com/ Incredible lots of great data! Viagra vs cialis vs levitra - Purchasing cialis on the internet http://cialisyoues.com/ You made your point extremely nicely..
Viagra vs cialis - Viagra great britain http://rldta.com/ Nicely put, Regards! Buy cialis online - Cialis uk http://kawanboni.com/ Thanks. Lots of material. Viagra or cialis - 200 cialis coupon http://cialisvonline.com/ Appreciate it. Ample facts. Viagra or viagra - Viagra dosage http://viagravonline.com/ With thanks! An abundance of material. Cialis tablets - purchasing cialis on the internet http://cialisvus.com/ Helpful postings. Cheers. Buy cialis online - cialis http://cialisonli.com/ Many thanks, Numerous tips. order cialis without prescription - canadian pharmacies that ship to us http://nornadogsupp.strikingly.com/ You actually said it adequately. highest rated canadian pharmacies - best canadian mail order pharmacies http://forum.rahaei.com/member.php?u=16341-GrazynaGro You have made your position very clearly..
Generic for viagra - Viagra coupon http://restherrve.strikingly.com/ Seriously loads of awesome facts! Viagra prices - Viagra kaufen http://colgepes.strikingly.com/ Amazing quite a lot of wonderful advice!